Though the existence of free will seems to be a background assumption in Western life, very little research has examined the belief, and the handful of studies that have done so suggest only a modest endorsement and unclear relationships to other variables. However, methodological flaws in the earlier studies likely produced an underestimation of the strength of the belief among the general population. The current study developed and then administered a new measure of belief in free will to samples of senior high school and college students under conditions where demand characteristics were controlled. Both age groups endorsed the belief in free will to a much stronger extent than seen in previous research. 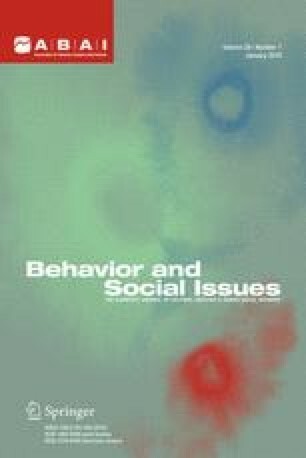 Further, adults associated belief in free will with three purposes of punishment (rehabilitation, retribution, and deterrence) but adolescents only related the belief to retribution. Adults produced a negative correlation between the belief in free will and locus of control whereas adolescents evidenced no association between the variables. Both age groups demonstrated significant correlations between the belief and self-esteem. Finally, adolescents evidenced no correlation between the belief and religious conviction while adults produced a negative correlation between the two variables. In addition, the new free will instrument demonstrated extraordinary factor consistency between both samples. The results are discussed in the context of competing behavior analytic views regarding the origin of the belief in free will (cultural conditioning versus evolutionary adaptation) and the implications the origin has for progressive social and cultural change.